Did Apple purposefully break iOS 6, rendering old iPhones unusable before their time? That’s the question at the heart of a new class-action lawsuit against the Cupertino company, which claims that Apple killed FaceTime in iOS 6 to avoid paying hefty licensing fees. The basis of the lawsuit, first reported by AppleInsider, comes from details that emerged last year in VirnetX’s patent infringement suit against the company. VirnetX licenses patents to technology companies, and one of those patents covers peer-to-peer audio and video transfer; Apple used peer-to-peer transfer to power FaceTime. When VirnetX, which has been described as a “patent troll,” came after Apple, the company switched to another relay method for FaceTime, using the third-party server Akami. That’s where things get tricky. Apple had to pay Akamai for that server usage to the tune of millions and millions of dollars. Faced with VirnetX’s patent infringement court win and mounting Akamai bills, Apple created a new peer-to-peer protocol for FaceTime in iOS 7. Easy, right? 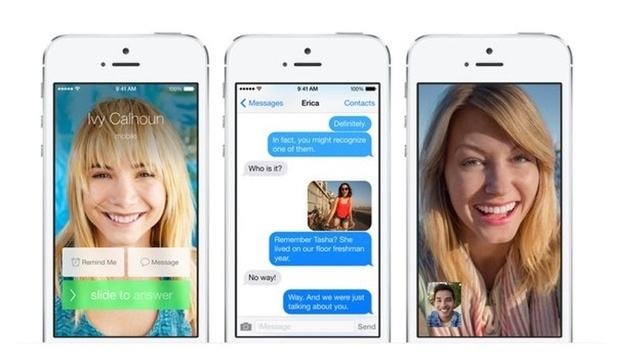 Everyone updates to iOS 7, Apple no longer infringes on VirnetX’s patents and doesn’t have to pay Akamai. The problem: Many people decided not to upgrade to iOS 7. According to emails and documents filed in the VirnetX lawsuit, Apple let a device certificate expire in iOS 6 on April 16, 2014, resulting in a FaceTime bug that could only be fixed by upgrading to iOS 7, essentially forcing users to update if they wanted to use FaceTime. The class-action lawsuit filed this week in California claims that because Apple knowingly made FaceTime inoperable on iOS 6, that it was interfering in users’ devices. The suit claims that older devices, like the iPhone 4 and 4s, were unable to run iOS 7 properly and experienced bugs and crashes. The suit cites media reports of “widespread functionality problems” at the time. “Hey, guys. I’m looking at the Akamai contract for next year. I understand we did something in April around iOS 6 to reduce relay utilization,” one Apple engineer wrote. The suit claims that Apple violated California’s unfair competition law. It’s unclear what will come of the lawsuit, considering that iOS 6 users had other video-calling options to choose from and that Apple didn’t actually break the operating system and mandate users of older devices to upgrade.